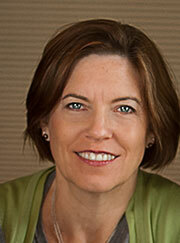 Julia is a medical nutritionist/ dietitian and diabetes educator with over 25 years experience. She specializes in Diabetes and Heart Disease while also addressing a wide array of health needs and preferences. Her private practice is called 3 Peaches Nutrition & Diabetes Coaching, located on Hawthorne Blvd in SE Portland, OR. As a frequent speaker with the American Diabetes Association, and the American Heart Association , plus various conferences, local businesses and senior residential facilities, she invites her audiences to engage with their own health in ways that are flexible, realistic and still delicious. She graduated from Oregon State University with a degree in clinical nutrition, followed by an internship at Lutheran General Hospital in Chicago. She has worked for a local hospital system for over 19 years, along with managing her own private practice. Julia is married with two grown daughters, and lives in the house where she was raised.